Yep. Pencil and paper. Charcoal on paper. 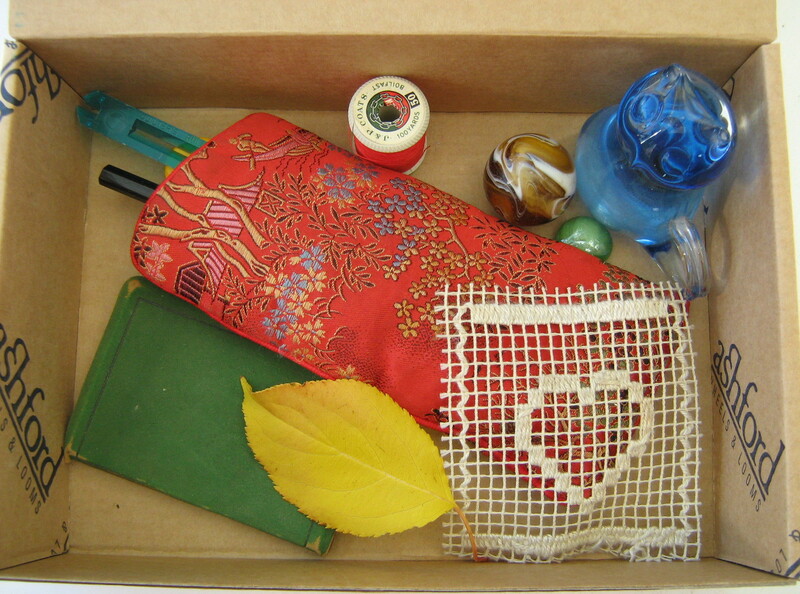 Still life -- the contents of a small box, hand-picked by yours truly -- all in aid of my early foray into the world of the City and Guilds of London Level 2 Certificate in Creative Techniques: Textiles (specifically, creative quilt-making), which I'm taking online. There are 8 modules in all, in 4 units of 2 modules each; the focus of the first 2 modules is design. 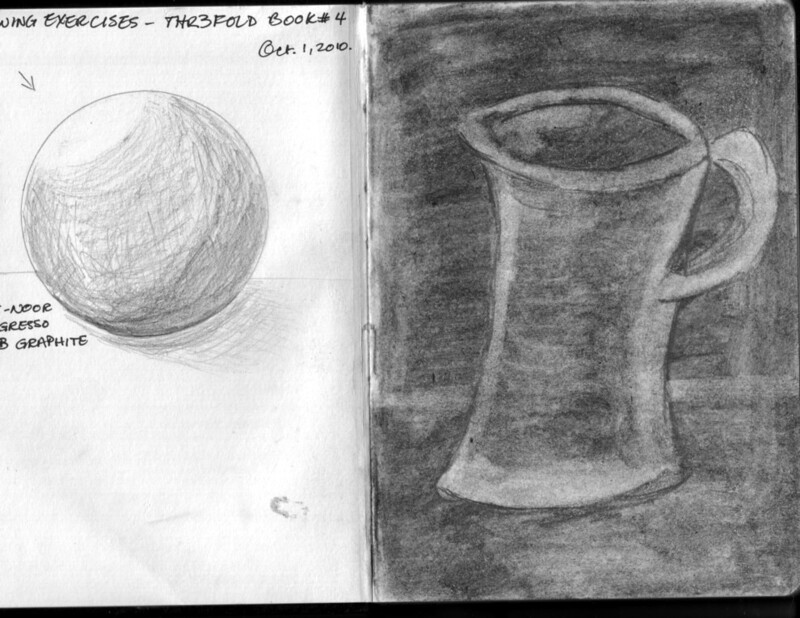 Somewhat intimidated at first, I went back over the drawing section of my thr3fold journal #4, and did the exercises. 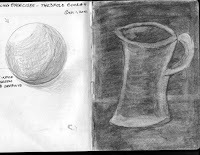 The jug/mug on the right is done by colouring the entire page with charcoal, and using a pliable eraser to sketch out the figure. A few lines were then added with a graphite pencil, and the page sprayed with fixative so I wouldn't have charcoal dust from here to kingdom come. I'm rather pleased with the ball, but not so much so with the jug. Still, I felt warmed up enough to attempt my assignment...I wasn't very brave -- didn't cut away too much of the photo -- so I was left with very little to draw in to complete the picture (left). 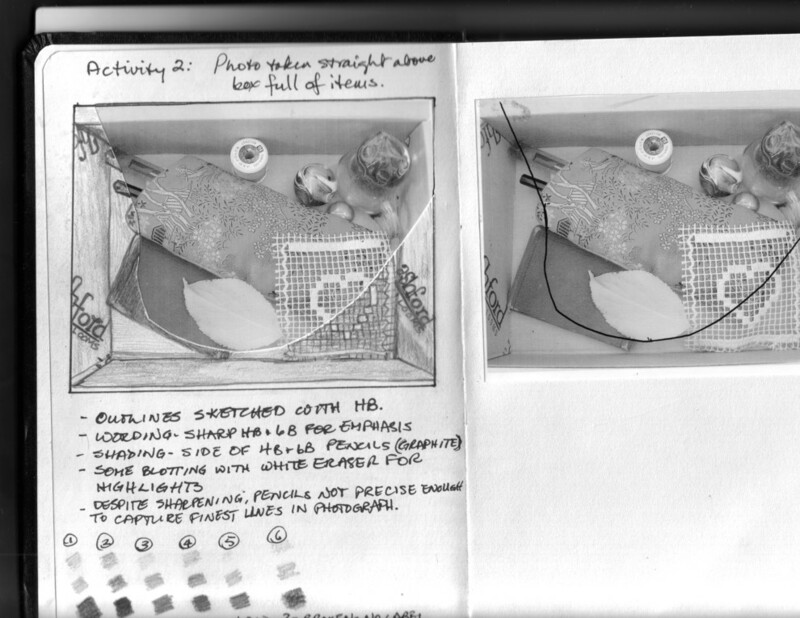 That said, the perspective of the box's sides was quite the tricky bit!! 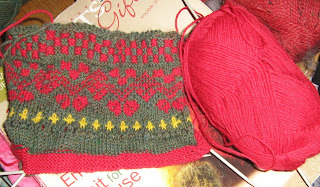 The three drawings took me well over 2 hours...and left me wanting to do something very mindless...but I`m off to knit more Fair Isle on Kade`s Christmas Stocking! P.S. Guess who`s my tutor for the C&G Programme?! The terrific and multi-talented Head of the course at DesignMatters, Linda Kemshall! Your drawings look good! I've never tried drawing with an eraser. I think that would be difficult. And getting the perspective right looking down into a box would be tricky! You did so well on the box drawing it took me a minute to figure out what you had done. 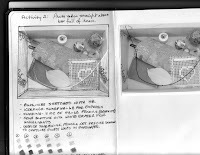 I saw the line through the drawing but until I enlarged the photo couldn't tell it had been cut away and redrawn. Well done! 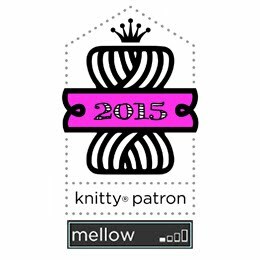 Celebrating 13 years of inspiration for knitters everywhere!